In which we answer your questions about Runes, IP, Blue Essence, and more. This week, it’s all about the preseason. How is it going to work with the new runes pages? Are we finally getting pages for free? You’re going to get five default pages (that are not editable) and two additional free pages to start. Additionally, if you have unlocked any Rune Pages, you’ll continue to keep them in the new system as extra pages. What’s gonna happen to people who have collected special runes from the old harrowing’s and other unique runes like the studio rumble rune? I personally don’t have any but if I did I certainly wouldn’t want something like that wiped from my account without something to take its place. We’ll introduce an exclusive ward skin for anyone who owned any special legacy runes OR who spent at least 125,000 IP on runes or rune pages* before the September 1, 2017 cutoff date. We’ll also give rare rune owners a special commemorative icon. *If you bought rune pages using RP, we’ll count each of those as 6,300 IP spent toward this reward. 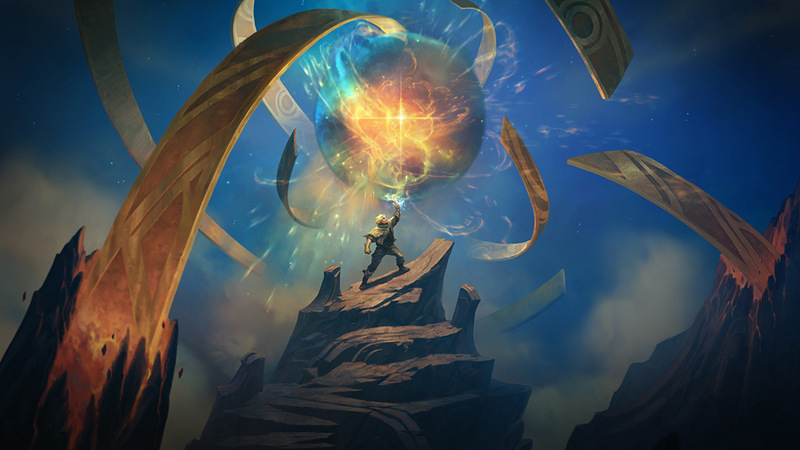 We’re aiming for November 8th for the start of preseason—the new runes will roll out then. Since we will get tons of blue essence, will the cost of 600-700 be increased for the champion mastery? The numeric essence required for mastery will be scaled up by 6.5—the same amount we’re scaling up all your existing BE. So it will “cost” the same in the new system, but the numbers will be higher across the board. Are we going to be able to see opponent’s runes in a match? With effects like the channel-blink or swapping out summoner spells there is a potentially enormous information gap in-game unlike anything before. Many runes are things players need to know in game moreso than previous stat-based runes or non-keystone masteries. I haven’t seen an answer on this anywhere (including in the runes ui post) and am worried for preseason. Yes, in the loading screen after champ select, you’ll be able to see the path / keystone of each player in your game. You’ll also be able to see the keystone of all players in the game scoreboard. With channel-blink specifically, when someone has this, you can tell on the scoreboard because after using flash, their flash will be replaced with a different icon (the channeled flash icon). Are you planning to add more runes in the future or are the ones announced in “preseason update” the only ones? We will be adding/removing/modifying runes and keystones in the future for sure! We already have a few keystones in the works that didn’t make it for launch. However, don’t expect entirely new paths outside of midseason or preseason updates.